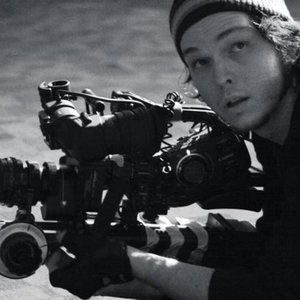 Jacob Gentry got started in the picture business at age 26 when he wrote and directed the sprawling character mosaic Last Goodbye starring Academy Award winner Faye Dunaway and the late screen legend David Carradine. The film was praised for it’s editing and innovative narrative style with Variety comparing it to the works of P.T. Anderson and David Lynch. Gentry then co-wrote/produced/directed the Sundance smash The Signal, a $50,000 scifi/horror apocalypse tale that was bought by Magnolia Pictures in a late-night bidding war for $2.3 million. Aint It Cool News said The Signal was “Quite easily the best independently made horror film in the last five years.” The Signal was nominated for The John Cassavetes award at the 2009 Spirit Awards. Jacob then scored another genre success with My Super Psycho Sweet 16. Made exclusively for MTV, this teen slasher movie satire was part John Hughes, part John Carpenter, and gave MTV its best ratings in the time slot in over a year and half. He followed it up in 2010 with the equally successful sequel Super Psycho Part 2 and The Ghost Inside clip for Broken Bells starring Christina Hendricks. The Sci-fi mini film was nominated for a MTV Video Music Award. This year, Gentry has delighted Super Psycho fans everywhere with the conclusion of the trilogy: My Super Psycho Sweet 16 Part 3, and is currently in post production on the mind-bending time travel thriller, Synchronicity.